Over the weekend, some Avengers: Endgame toy images leaked online. They are pretty cool and offer us some of the clearest images of the new white suits that we’ve seen thus far, but they also reveal that a fan-favorite character is confirmed for the most anticipated movie of 2019. Last year’s Infinity War left a lot of questions pertaining to who survived the Decimation, which meant that the Russo Brothers have been asked about survivors who were not in the movie for nearly a year now. Tessa Thompson’s Valkyrie from Thor: Ragnarok was on board the last Asgardian ship, which was destroyed by Thanos and his Black Order at the beginning of Infinity War. The Russo Brothers hinted that some characters may have survived and Thompson has always played coy when asked about her character’s survival, though she has said that Valkyrie is “in one piece and thriving,” when asked if she survived Infinity War on social media. Now, we have confirmation that she did make it. The latest Avengers: Endgame toy leak seemingly confirms that Tessa Thompson will be in the movie. Her picture can be seen on the back of a box promoting the rest of the heroes that are included in the set next to Rocket Raccoon, who is in his new white suit and Star-Lord, who is in his normal attire. Thompson and Chris Hemsworth arrived in Atlanta when reshoots were taking place, but it was never confirmed that she would be taking part in the upcoming Avengers movie. While it was never confirmed, it was always hinted at. As for the rest of the Avengers: Endgame toy leaks, we get to see Jeremy Renner’s Ronin with his full mask on, along with Spider-Man and Black Panther action figures. Like Star-Lord, they are pictured in their normal suits, which leads us to believe that some of the decimated characters might not be in a lot of the movie this time around. Captain America and Iron Man are also shown, and they are in their traditional suits too, while Hulk, Thor, Black Widow, and Rocket Raccoon are all in the new white suits that we have seen in previous leaks. Now that we know Valkyrie made it out alive, we’re all hoping that she escaped with Korg and Miek and that they show up in Avengers: Endgame with her. We don’t know how she’ll factor in to the rest of the story because nobody outside of the Russo Brothers and Marvel Studios know that at this point in time. Perhaps we’ll get some more answers when Captain Marvel hits theaters in March. We’ll have to all be patient to see how everything ends up though. 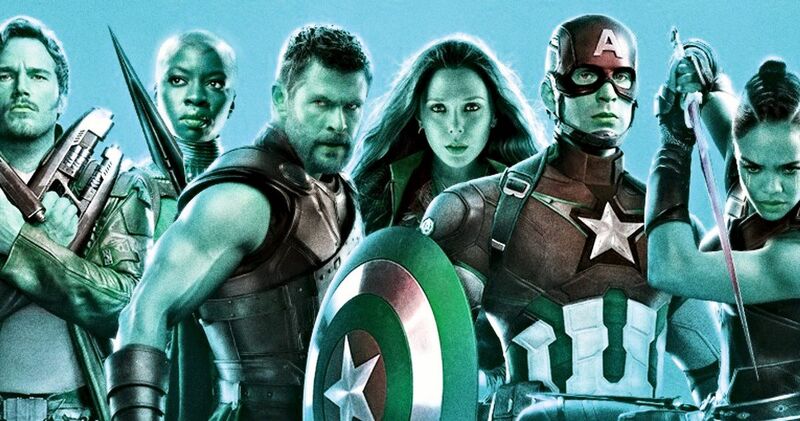 In the meantime, you can check out all of the Avengers: Endgame toy leaks below, thanks to the Dr. Movie News Twitter account. – Thor & Hulk in supposed “Quantum Suits”?